This lightweight open source audio OS offers a rich feature set and high-quality digital sound. At that point, I was ready to boot the new operating system, so I did—and voilà, up came the system! pacman -Rc ffmpeg2.8 # uninstalled Cantata, have to fix that later! And the last little bit, fiddling /etc/fstab to avoid access time modifications. I also thought I’d try installing Cantata once more using pacman -S cantata, and it worked just fine (no ffmpeg2.8 problems). And it works! Right now I’m enjoying Nils Frahm’s "All Melody" from the album of the same name, playing over my Schiit Fulla 2 in glorious high-resolution sound. Time to copy in some more music so I can give it a better listen. So… does it sound better than the same DAC connected to my regular work laptop and playing back through Guayadeque or GogglesMM? I’m going to see if I can detect a difference at some point, but right now all I can say is it sounds just wonderful; plus I like the Cantata / mpd combo a lot, and I really enjoy having the heads-up display in the upper right of the screen. The other day I was reorganizing my work hard drive a bit and I decided to check to make sure that 1) all the music on it was also on the house music servers and 2) vice versa (gotta set up rsync for that purpose one day soon). In doing so, I found some music I hadn’t enjoyed for a while, which is kind of like buying a brand-new album, except it costs much less. Six Degrees Records has long been one of my favorite purveyors of unusual music. A great example is the group Zuco 103's album Whaa!, whose CD version I purchased from Six Degrees’ online store some years ago. Check out this fun documentary about the group. For a completely different experience, take a look at the Ragazze Quartet’s performance of Terry Riley’s "Four Four Three." I picked up ahigh-resolutionn version of this fascinating music from Channel Classics, which operates a Linux-friendly download store (no bloatware to install on your computer). And finally, I was saddened to hear of the recent passing of Rachid Taha, whose wonderful blend of North African and French musical traditions, along with his frank confrontation of the challenges of being North African and living in Europe, has made some powerful—and fun—music. Check out Taha’s version of "Rock the Casbah." I have a few of his songs scattered around various compilation albums, and some time ago bought the CD version of Rachid Taha: The Definitive Collection, which I’ve been enjoying again recently. 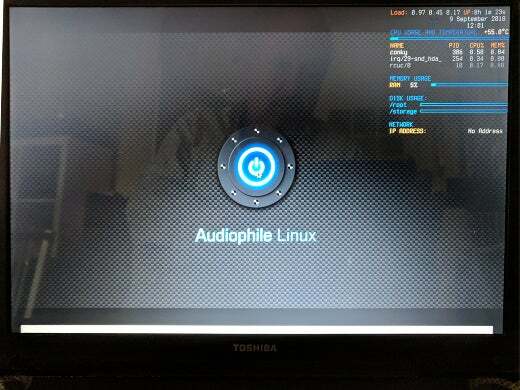 I've been meaning to get around to finding a Linux that's well enough tuned to real-time audio tasks that it could reasonably take over DAW duties (currently that role is played by a Windows box running Sonar). Faster processors help a lot, but Microsoft put some serious work Into the effort to optimize/prioritizr DSP paths, and I just don't know the current state of the Linux world for that purpose ... Nor how effectively I might be able to bring over existing VSTs. This is currently my primary reason for continuing to run Windows on that box, but I'm just not sure that/which alternative paths are worth betting on. I'm hoping that sometime soon we'll be past the "let a million flowers blooming" phase and have a clearer set of choices/configurations. My experience is that in Linux I have better control of setting everything up the best way for my computer and hardware than I had when running Windows. In Windows in short I could only affect latency with a two way switch, while in Linux I have several things to tweak to make it as good as possible. Sure, not everyone want to dig into such detail and perhaps not everyone actually need to. In my view Linux is better in handling audio once set up properly. I left my VST's behind when going all in on Linux. There are good native alternatives that suits my need so why bother with porting that, was my thinking. Thanks for the comments, Loxmyth. As to what may (or may not) have been done to improve processing in a closed source operating system, that's a bit outside the subject matter at hand. As to tools, I like this link https://alternativeto.net/software/fl-studio/?platform=linux but again it's outside my experience so please take it with a grain of salt! Thanks for the article, I will test cantanta, after reading this article but I did not understand the advantage of using MPD - I searched the web and still didn't - Thanks in advance if you write another article or expand this one about this issue. 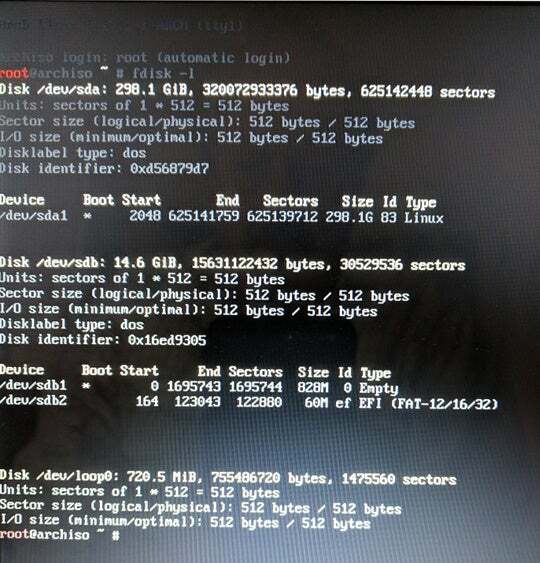 I use Manjaro with normal and rt kernel installed, and I had no problem installing cantanta, Wrote that I do not understand why having so many spins Manjaro still does not have a Studio one, with the KX repository and a Audophile one like this arch one. Thanks for your comments, Miguel. From my perspective at least, there are two main advantages for using MPD. First, MPD is really a music server, implying you must use a client to make it play (like Cantata, for example). This architecture makes it straightforward to build a very lightweight music server system, like for example a Raspberry Pi (or in my case a Cubox i4) that runs headless and sits somewhere in your audio rack, connected to your receiver or a standalone DAC that is connected into your system. Then you control this from e.g. your Android phone / tablet or laptop or chromebook or something else by running the client software there. Second, MPD is readily configured to talk directly to a DAC (that's a digital to analog converter) using ALSA, thus bypassing all mixers, resamplers, etc to get an untouched bit stream out to your music system. In contrast, many music players do not provide this kind of control, leaving configuration up to gstreamer and/or PulseAudio, which in turn can be much more difficult to configure to pass the digital audio through untouched. I don't understand why you would benefit whatsoever with a Real Time kernel for playback? Sure, live performance and some overdub recordings, but for playback..? Thanks for this comment, Jimmy, as well as the one above. It seems that there are a number of audiophiles out there who feel that a real time kernel will deliver a more reliable bit stream (because of lower latencies) to an external DAC, perhaps reducing jitter or somehow otherwise contributing to better sound. Bottom line - this is probably another one of those arguments between the side that has listened and claims to hear a difference and the side that has studied the engineering principles and claims there can't be a difference. Thanks for wading into the APLinux install quagmire. Being new to all things Linux your article is a big help, since the APL site caters to a much more seasoned crowd. Over the last several months the ever-so-user-friendly Daphile has been my fallback whenever I break APL. Both sound wonderful, but I have a preference for APL based largely on appearance (Cantata looks and feels great), and because I think APL sounds a bit better with my little desktop rig (that includes a Partaker fanless mini computer). Thanks for your kind comments, Ronald Ellis. My Audiophile Linux install hasn't "gone into production" in my house yet, but it may at some point; right now I rely on a couple of small headless and fanless servers using MPD and I run the client elsewhere. 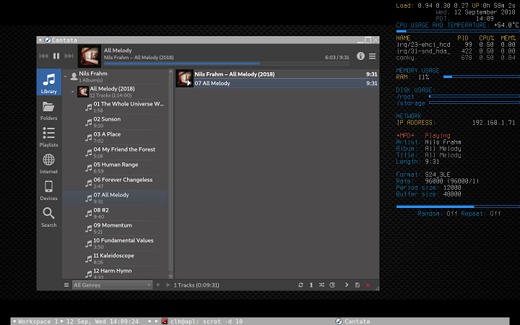 Still, I really like what I see in Audiophile Linux, and I hope its developer manages to remain engaged with the project.